What is “Minor Building Work”? 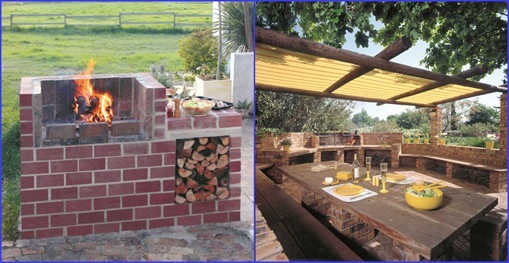 “I only want a braai on my patio.” you might say. Well these two are both on a patio and both have braais but the one on the left will be minor building work and the one on the right is not. Whatever you construct on your property needs plans, unless it is defined as “minor building work”. 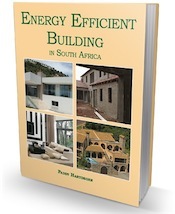 Even so the Act states very well in Part A: General Principles and Requirements (this was previously Part A: Administration), that any structural building work that is defined as “minor building work” requires approval by your local authority’s building control officer before you can commence with any work . So long as you make an application to get the proper approval from the local authority, you DO NOT NEED PLANS . But the law is also very clear in terms of compliance with the regulations; minor building work must adhere to the regulations. Short-term structures also need permission from the local authority. This includes builders’ sheds, on-site toilets, and any other structure you may want to build (or be obliged to erect) for the building project. a ) the erection of poultry houses (hoender hokke or chicken coups) that are no more than ten square metres in size, aviaries that are no bigger than 20 square metres, solid fuel stores (for storing wood, coal, anthracite or similar) that are no more than ten square metres in area and no higher than two metres, tool sheds that are smaller than ten square metres, childrens’ playhouses that are no more than five square metres, cycle sheds no more than five square metres, greenhouses that are a maximum 15 square metres, open-sided car, caravan or boat shelters or carports that do not exceed 40 square metres in size, any freestanding wall built with masonry, concrete, steel, aluminum, or timber or any wire fence that does not exceed 1,8 m in height at any point above ground level and does not retain soil, any pergola, private swimming pool (although most local authorities do insist on plans), change room at a private swimming pool not exceeding 10 sq m in area . g ) the erection of any building that the local council doesn’t believe plans are necessary for. In the last example , it is up to the building control officer to make this assessment. We have had quite a few inquiries on this site relating to when and where plans are required. As you will see, there are some exceptions, but in the end it is up to the local authority to determine whether or not you need plans. It also makes sense that the structures defined as minor building work will all need to be fit for purpose. So you can’t say you are putting together an aviary (which can be 20 square metres in area), and then build a brick building with windows, suitable for human habitation! Hi Kevin, many people think that if you are on a farm or smallholding then you do not need plans, this is not true the law in SA states that ALL buildings must have plans and be approved by the council for that area. Check with the Council in your area. Hi, I have 2 rainwater tanks on one side of my house. The house is on the building line. No windows in this wall. To protect the pump and the tanks can I build a 1,2m wide x 6m long canopy over them? Also a open fire wood storage box 2m wide and 2m high by 35cm deep? Roof (canopy) is mounted to the wall. Hi Heinrich, This on the face of it seems to fall under “Minor building work”. Each municipality has its own rules when it comes to minor building work so I do suggest you try and contact a friendly person at your local planning department and ask them the question. Hi Richard, Any covered area on your property needs approved plans even though there is only one side wall.